Xiamen, China was the location for the 9th BRICS Summit. The theme of the summit was “Stronger Partnership for brighter Future”. It was for second time the summit was hosted in China after 2011 summit. At the end of summit, BRICS leaders adopted Xiamen declaration. The Reserve Bank of India (RBI) has added HDFC Bank, the second largest private sector lender of country in list of Domestic Systemically Important Banks (D-SIBs). HDFC Bank is third bank in country to be added in list of D-SIBs after State Bank of India (SBI) and ICICI Bank which were added in 2016 and continue to be in that category. 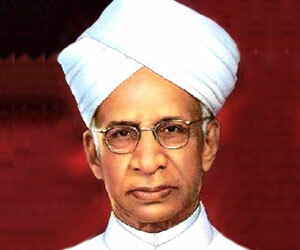 The National Teachers Day is observed every year on 5th September in India to commemorate birthday of country’s first Vice President and second Pr esident Dr Sarvepalli Radhakrishnan. On this occasion, Environment Ministry launched Prakarti khoj, an environment awareness initiative. A task force for the speedy implementation of the Namami Gange programme by the Union Ministry of Water Resources, River Development and Ganga Rejuvenation. The task force is expected to have ministers and officials from water resources, urban development, drinking water and sanitation and rural development among others onboard. Surya Kiran XII, 12th Edition of the Indo-Nepal joint exercise was held at Nepal Army Battle School (NABS) in Saljhandi, Nepal. The 14 day exercise (from 3 to 16 September 2017) focused on skills required counter-terrorism and counter-terror, forest fighting and natural disaster management operations. The Union Government has accepted recommendations of National Anomaly Committee (NAC) to maintain disability pension for defence forces in parity with in parity with civilians under 6th Central Pay Commission (CPC). With acceptance of recommendations of NAC, Government will not go ahead with new disability pension parity regime recommended by 7th CPC and continue earlier system of disbursing disability pension.